Between lipsticks and eyeshadows, my heart yearns the former. Imma self-confessed lippie addict remember? But once in a great while, I do find myself prancing amidst the revelry and hoopla of true blue eyeshadow connoisseurs. 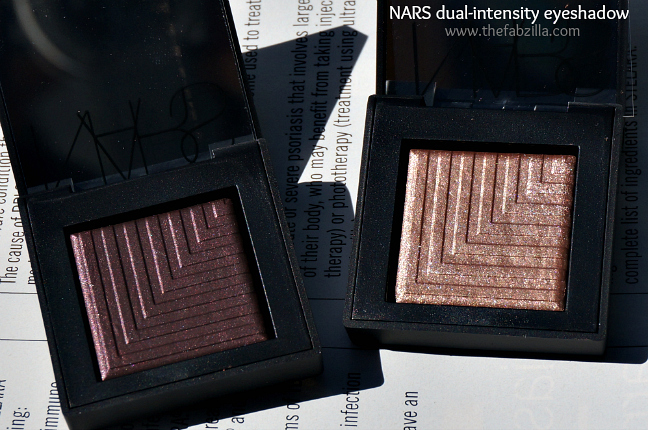 Will NARS Dual Intensity Eyeshadow quell me? Read further for the great reveal. Retailing for $29 (0. 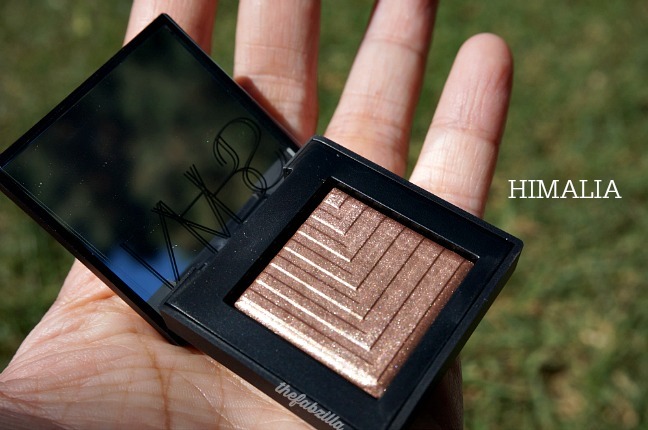 05 oz), NARS Dual Intensity Eyeshadow is available in twelve dazzling shades. I ordered Subra, described as black orchid or dark burgundy with pearl finish, and Himalia, shimmering topaz or champagne taupe-ish with metallic finish. 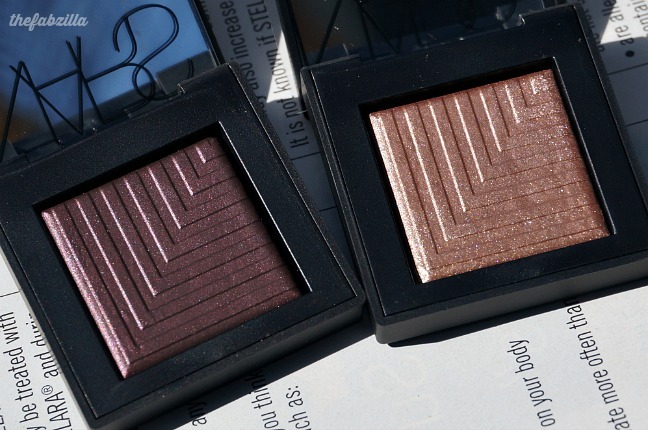 Named Dual Intensity, these eyeshadows can be applied dry for sheer result or wet for bam-in-your-face impact. Either way, I am more than pleased with its creaseless and budge-free wearability. 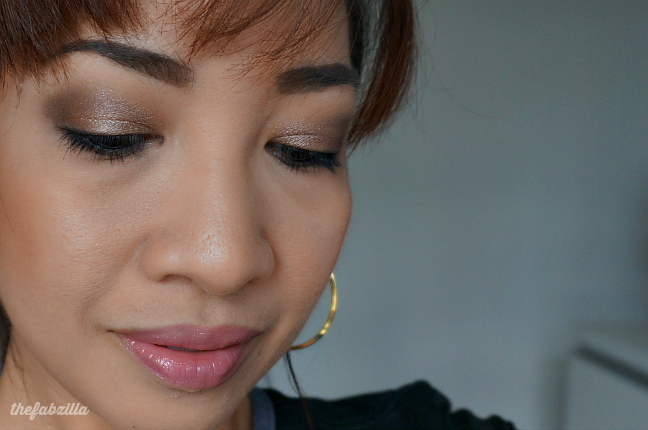 Worn over NARS Smudgeproof Eyeshadow Base, my eye makeup lasted ten hours with minimal fading. Both have impeccable softness that’s neither powdery nor messy during application. Stunning when dry, phenomenal when wet. That’s how I can accurately describe the overall quality of these two eyeshadows. Yes, convincing enough that I ordered few more shades to satisfy my insatiable eyeshadow craving! For my FOTD below, I used Himalia for my lids and Subra on crease, outer corner, and lower lash line (both applied dry). 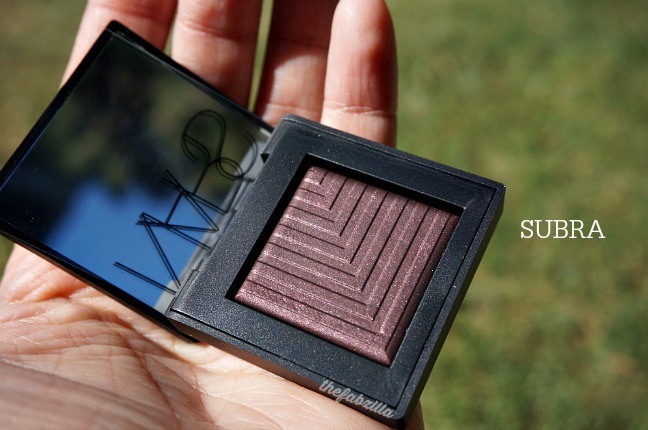 Do you own this eyeshadow? Not yet? It’s worth it mah lady! These look great together. Love this look. These shades are perfect on your eye balls! from my eyeballs to yours, yay! Those shades are nice!! Great for darker skin. I need to look them up! WOW! These look great on you, and they look amazing swatched wet. I've been wanting to pick one of these up, I can't deny myself any longer! I enable you Judy, you need this now! Ya I totally need these ASAP. Sephora here I come at lunch hour. That Subra is GORGEOUS and as always girl you look fabulous. Love love love this!!! They sound fabulous, and the shades look stunning on you (as usual!). I have never used eye shadow wet except for when I've used it as eyeliner. It would be fun to get to try them that way. I love the shades in this new collection. Definitely something worth saving up for! Ooh, so pretty. I love the look you created. Beautiful colors. You look great. I think I "need" Himalia. 🙂 Very pretty!!! The quality tho can't be compromised. These two shades look like a few in my own collection that I reach for often! Gorgeous! SO so pretty! You look great! Subra is so my jam. Love that color! I have Himalia as well. It is so pretty!! I drool, my god those shades are incredible. They look great on you, that champagne-y color is to die for. Need! OKAY HOLY EYESHADOW AMAZINGNESS!! I seriously think I might have to just bite the bullet and pick these up these colors are STUNNING! Wow these are gorgeous! Now I have to get some!! Between you and Laura (My Newest Addiction), I will need to get this soon! Love the final look. I think I need to add Himalia to my collection! You are a freakin hot momma! i need so many of these!! I need both of these!! Gorgeous! 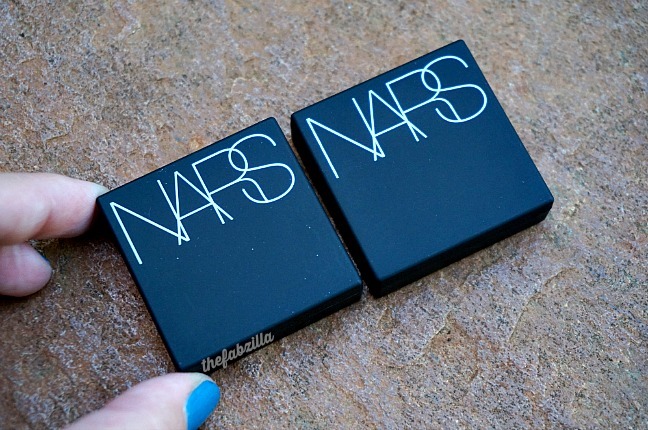 Both of these shades look so gorgeous! I love these colors a lot! The packaging for those is just gorgeous! I love that they look so close whether wet or dry. I have Himalia and I am thinking now I need Subra. SO gorgeous! I love how your fotd turned out!